Zinc plated and hardened. Twinthread with sharp point. 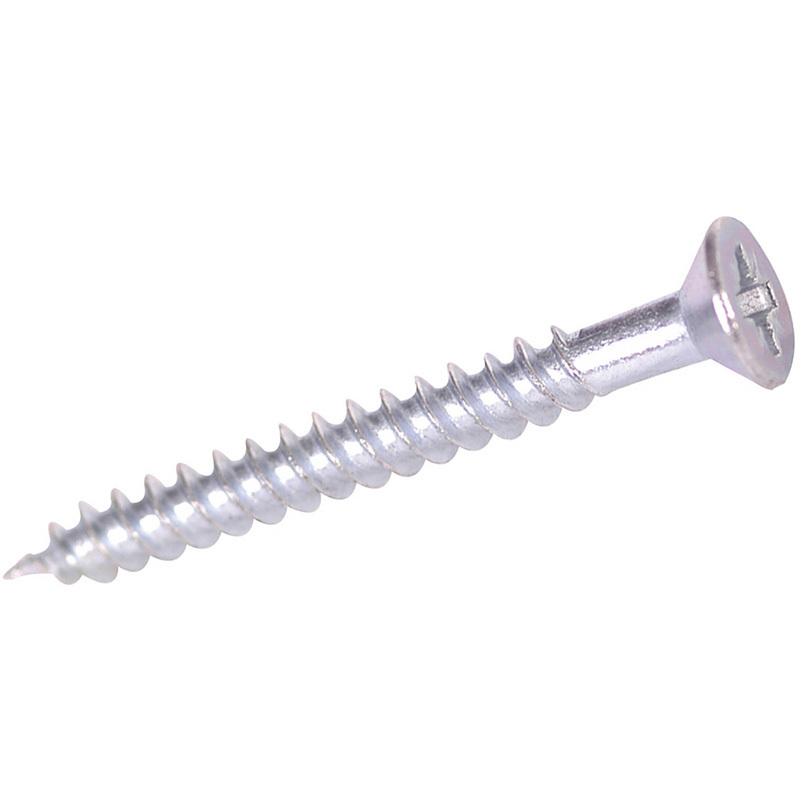 Twinthread Countersunk Pozi Screw 1 1/2" x 8 (200 Pack) is rated 4.8 out of 5 by 64. Rated 5 out of 5 by Sausages from Handy having the shanked portion Despite being listed in imperial sizes by mistake, these are really handy as they have a slightly thicker cross section, which is good for relatively high shear applications. And shanked so good for creating a tight join between timbers. I often buy these to go along with the other screw packs that are single thread, so that I have the choice of high grip or tight high shear. Shank could be a bit longer though in the M6 90mm (e.g. 30-40mm of shank). Rated 5 out of 5 by Billyboy75 from did the job fine 5 stars even if three had no thread . Rated 5 out of 5 by Billyboy75 from very good products Toolstation screws are perfect for the job.